Twin brothers Björn and Stefán waking up at the cafe after their outdoor naps. 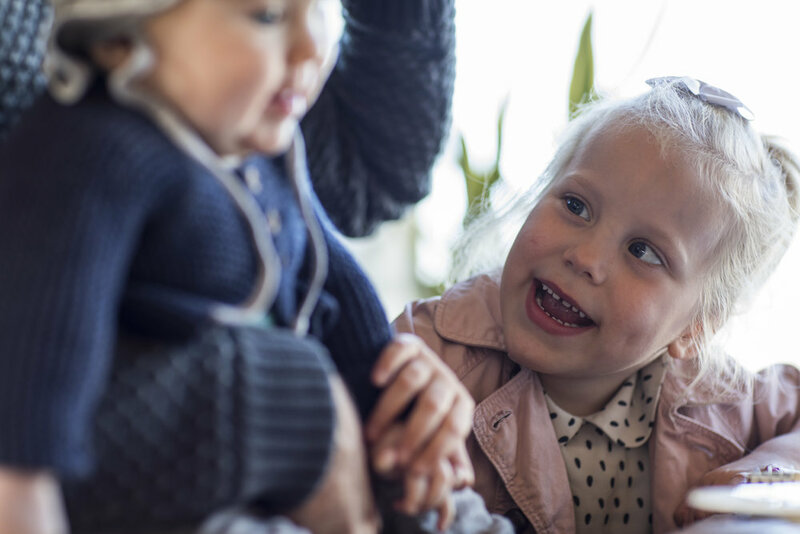 When we asked each father what is the best thing about raising kids in Iceland, there was a unanimous answer — they feel completely safe here. Police officers don't carry firearms and crime is extremely low. No wonder parents bring their baby monitors to cafes in case their little ones wake up while sleeping outside comfortably bundled up in their strollers. Björn Thors is an actor and father of four kids — Dagur (10), Bryndis (5), and twin sons, Björn and Stefán (5 months). He took the twins and Bryndis out for lunch at Kaffihús Vesturbæjar near their home in Reykjavik. 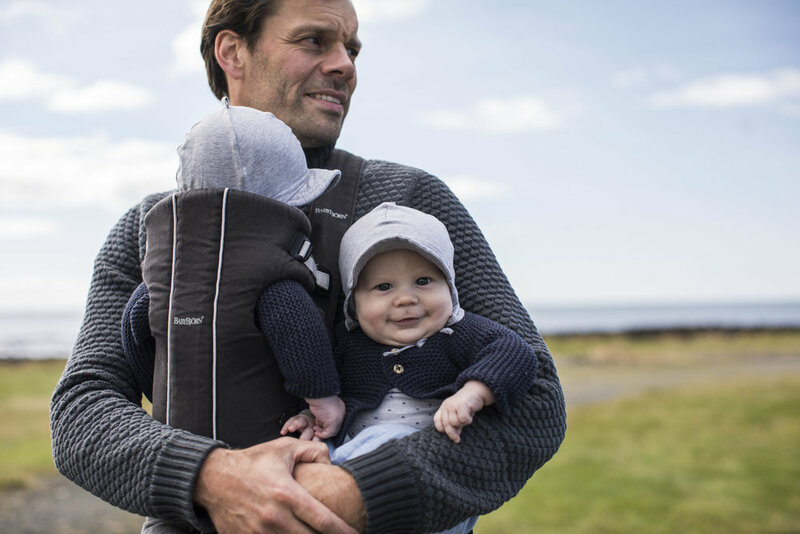 The twins napped in their stroller and they all took a walk in the brisk August wind illustrating why Icelandic sweaters are typically worn year-round. Björn and his wife are both actors and juggle time with their kids and time for work together. I was impressed at how well they were managing life with four kids in Reykjavik, considering it's currently one of the most expensive cities in the world. Björn Thors checks on his twin babies while he and his five-year-old daughter, Bryndis, have lunch at a cafe near their home in Reykjavik.